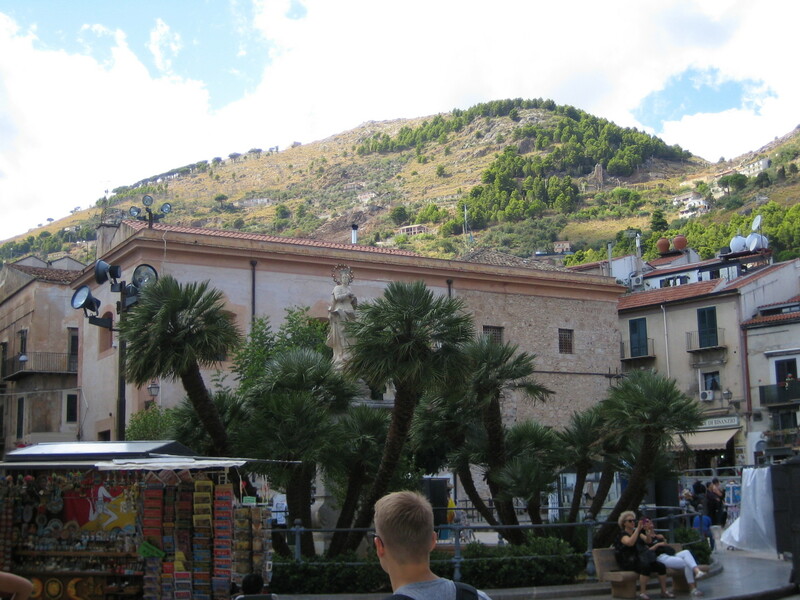 Around Monreale, we could see the craggy hills while in the city, palm trees were frequent. 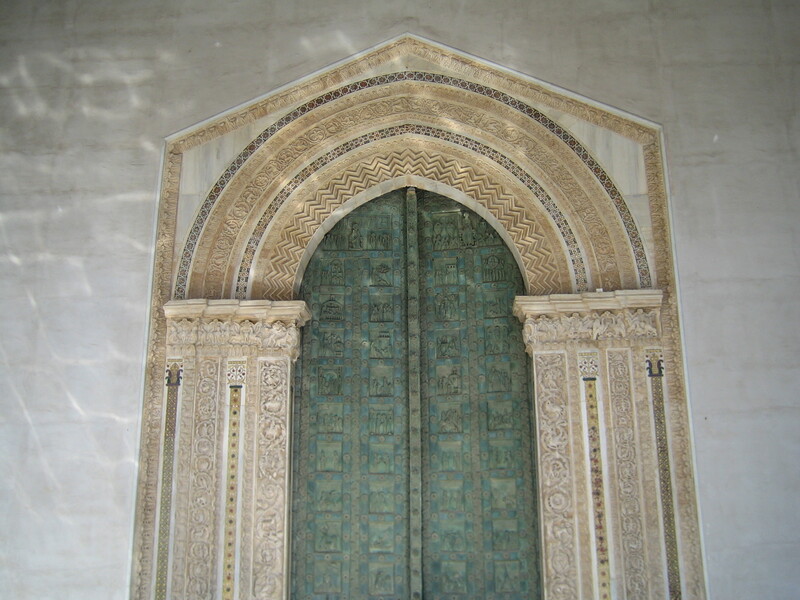 The mighty bronze gate of the cathedral shows Biblical scenes and is decorated with some round and pointy arches and one roof-like arch ... very differentiated! 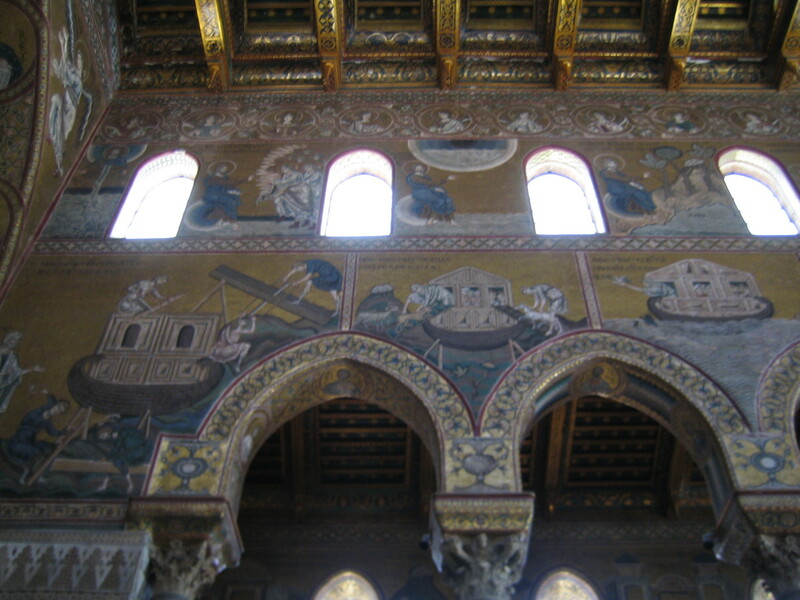 Inside the cathedral, Biblical scenes are depicted in gold and mosaic colours (again in Byzantine style while the wooden ceiling is Norman). This side shows the story of Noah's Ark. 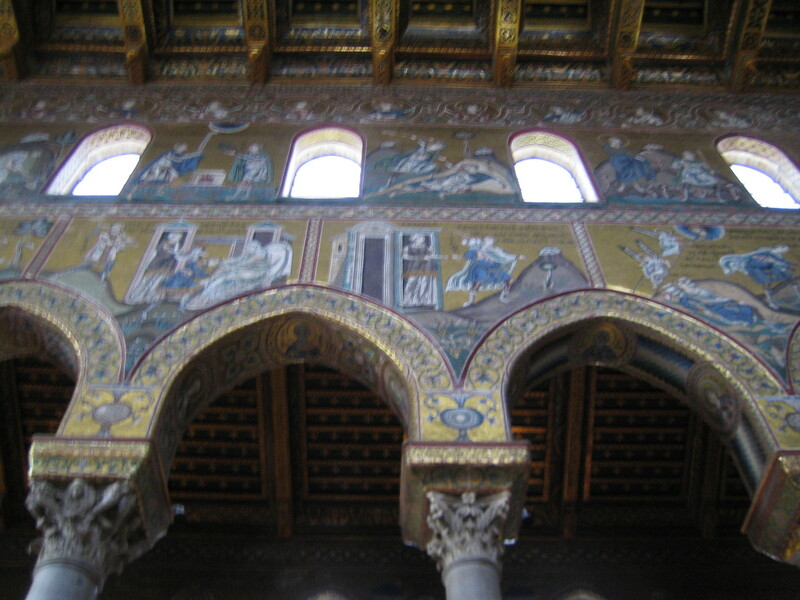 The cathedral was private for the emperor, but people needed these images as visualisation and cultural heritage, hence power. After that, we went to Mondello ... a beach!